So you want to hide a cache for Fraser Valley Cache Bash. We have some guidelines for having your geocache included in this event. 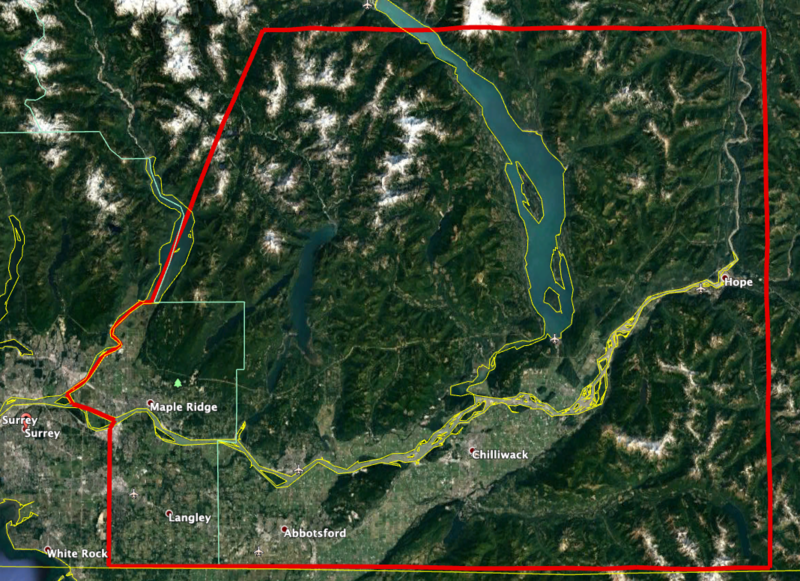 The western boundary on the south side of the Fraser River is 196 Street (Surrey/Langley border), and on the north side of the Fraser River, it is either Pitt River or Pitt Lake. Barnston Island is excluded as are any islands in the Pitt River south of Pitt Lake. The southern boundary is N49 00.250 – slightly north of the Canada/US border. The eastern boundary is the east side of Coquihalla Canyon Provincial Park. The northern boundary is N 49 42.500. Along Highway 1 that’s Alexandra Bridge Provincial Park (N 49 42.500 W 121 25.000). 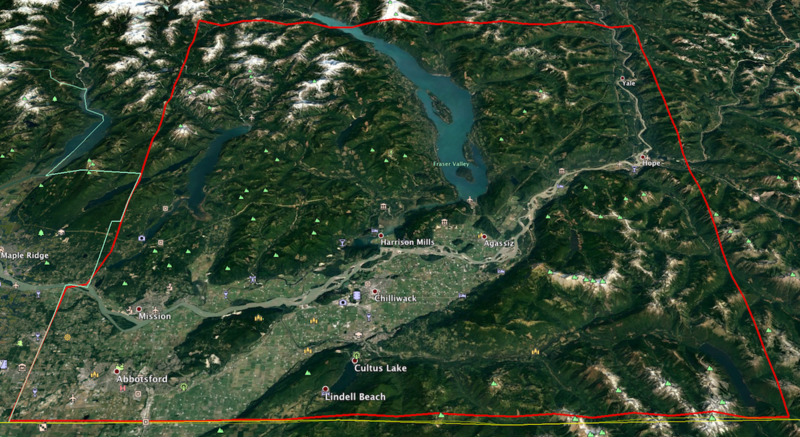 A KML file of the boundaries is also available. If you would like to hide FVCB caches (no pressure) they can be hidden and submitted until April 7, 2019 (12 days before the publication date). Late submissions may not be reviewed in time for publication on April 19, 2019, and will be reviewed as time permits. Late submissions will still be considered for trophies. Please hide containers that are small, regular, large or other. There are more than enough micro containers out there! The key to winning a trophy is Quality, not Quantity. Please consider taking some extra time to hide something special, interesting, or unique. Cache Title must include the abbreviation FVCB2 at the END of the title. This lets people search for caches for this event, and keeps it out of the way for those people using handheld GPS receivers. Example: My Epic Cache FVCB2. If your cache is hidden on private property, make sure to say as much in the cache description so people know they’re allowed to seek the cache there. To help reduce damage to an area, please include a useful hint. Hints such as “a typical hide” is not a useful hint. A lot of people may be searching for this cache in the first few days. Describe the container in detail (eg. medium size rectangular L&L, and has Geocache written on the outside and contact information inside it; or a birdhouse hanging from a branch with a wire loop). Describe where and how you’ve hidden it (eg. under a pile of sticks 3m from an established trail, or zap strapped to a branch). Be prepared to submit a photo if the Reviewer asks for it. Is your cache a Mystery Cache? If so, you must describe the method for solving it clearly in your Reviewer Note. This information will be deleted before your cache is published. Is your cache on private property? If so let the Reviewer know and provide them with the land owner’s or manager’s contact information. If your cache is in a Provincial Park let the reviewer know that you have read the BC Parks Policy (pdf) and your cache is in compliance. If your cache is hidden in a Metro Vancouver Park (ie. Derby Reach Regional Park), please read and follow their geocaching guidelines. One thing to note in their guidelines is that geocaches must be 500m from each other. If your cache is hidden in an Indian Reserve, please provide permission for your hide when you submit it for review. Please read the guidelines before creating your cache page on geocaching.com. They may have been updated since the last time you read them. IMPORTANT: Add: “This is an FVCB cache. Please publish it on Friday, April 19, 2019”. Note: You may not hear from a reviewer unless there is a problem with your cache. All caches submitted for Fraser Valley Cache Bash will hopefully be published on the morning of April 19, 2019 between 8am and 10am. Have your car gassed up, snacks and beverages in the cooler, and be ready to go and you might be one of the lucky few who will be First to Find! There is no kickoff event – you’ll be able to use the Geocaching Search feature to find the caches. Or click this link to run the search directly after they have been published. Trophies may be awarded in these (or other) categories, based on your nominations, and based on what caches are actually hidden. Please send us your nominees for trophies. There will be a trophy for each category. We will provide a nomination form on this website once the caches are published. Make sure to note the GC Code and Cache Name when you find a cache worth nominating. All nominations for trophies must be made by Friday, May 10, 2019 at 9pm. Late submissions will not be considered. The wrap-up event will be held on the evening of Saturday, May 11, 2019 in East Abbotsford (likely McDonald or Hougen Park). Final location to be determined. We will hand out trophies to the lucky winners in each category. We’re looking for volunteers for a variety of tasks including helping organize the wrap-up event and creating trophies. If you’re interested, please use the Contact Form to get in touch if you want to help out. To Nominate a Fraser Valley Cache Bash geocache for Trophies, simply fill in this form and let me know which geocache you think should receive a trophy. Any other notes or comments? The western boundary on the south side of the Fraser River is 272 Street (Langley/Abbotsford border), and on the north side of the Fraser River, it’s approximately Wilson Street in Mission (Maple Ridge/Mission border). If you would like to hide FVCB caches (no pressure) they can be hidden and submitted until April 14th, 2018 (21 days before the publication date). Late submissions may not be reviewed in time for publication on May 5th, 2018 and will be reviewed as time permits. Late submissions will still be considered for trophies. Cache Title must include the abbreviation FVCB at the END of the title. This lets people search for caches for this event, and keeps it out of the way for those people using handheld GPS receivers. Example: My Epic Cache FVCB. If your cache is hidden in a Metro Vancouver Park (ie. 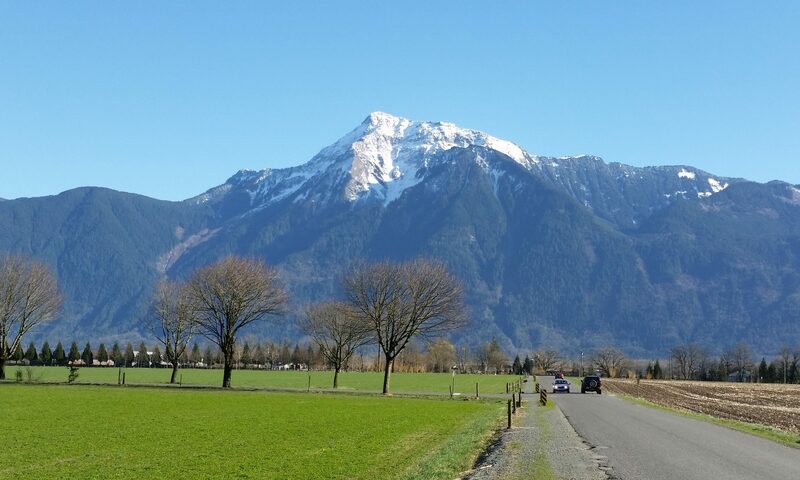 Matsqui Trail Regional Park), please read and follow their geocaching guidelines. One thing to note in their guidelines is that geocaches must be 500m from each other. IMPORTANT: Add: “This is an FVCB cache. Please publish it on Saturday, May 5th, 2018”. All caches submitted for Fraser Valley Cache Bash will hopefully be published on the morning of May 5th, 2018 between 9am and 10am. Have your car gassed up, snacks and beverages in the cooler, and be ready to go and you might be one of the lucky few who will be First to Find! There is no kickoff event – you’ll be able to use the Geocaching Search feature to find the caches. Or click this link to run the search directly after they have been published. Trophies will be awarded in each of these categories, based on your nominations. All nominations for trophies must be made by Friday, June 1st, 2018 at 9pm. Late submissions will not be considered. The wrap-up event will be held on the evening of Saturday, June 2nd, 2018 in East Abbotsford (likely McDonald or Hougen Park). Final location to be determined. We will hand out trophies to the lucky winners in each category.